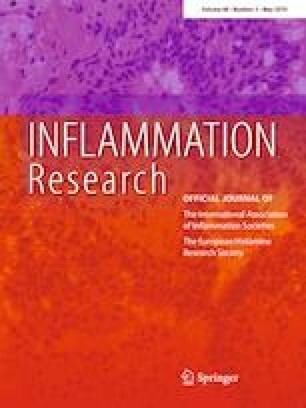 CRP gene polymorphism is common in inflammatory diseases, but such association has not been reported in periodontitis. Our objective was to interrogate SNPs of crp in chronic periodontitis in a case–control manner. DNAs were extracted from mouthwash samples of 116 volunteers using salting-out method. Selected 12 5′UTR SNPs of crp were genotyped using ARMS–PCR. TC genotype of − 757T > C polymorphism (rs3093059) showed protective association (OR— 0.29, 95%CI—0.12–0.68, and p—0.004), and wild type − 757TT showed susceptible association with a p value of 0.008 (OR—3.09, 95%CI—1.33–7.15). The observation of protective and susceptible association of crp − 757T > C polymorphism may be useful for better management and prophylaxis of periodontitis. The online version of this article ( https://doi.org/10.1007/s00011-019-01230-2) contains supplementary material, which is available to authorized users. The authors acknowledge support from DBT-BUILDER programme (Ref. : BT/PR12153/INF/22/200/2014), Government of India. Ethical clearance for the study was obtained from the Institutional Ethical Committee of Sree Balaji Dental College and Hospital, Pallikaranai, Chennai, India—600100 (Ethics Committee Registration No: ECR/761/Inst/TN/2015).